Charles Van Herck was born in Antwerp, on 7 April 1884, to a family that was a veritable dynasty of antique dealers. He developed a passion for art at a very young age. The story of this dynasty begins with Charles’s grandfather Jan Frans Van Herck (1824–1903) who, little by little, transformed his hardware shop into a prosperous art business. Charles’s father, Eugène Van Herck, also opened his own art business in Antwerp, first on the Melkmarkt and then, from 1891, on the Meir. Charles Van Herck joined the business in 1902. In addition to selling works of art, the Eugène Van Herck et Fils company also conducted valuations and organised auction sales. 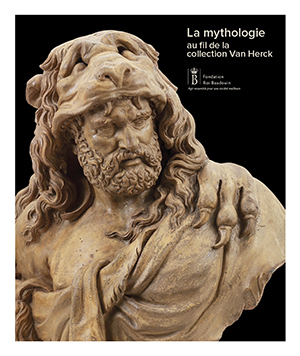 By examining thousands of works to provide expert valuations and descriptions for the auction catalogues, the brothers Charles and Louis Van Herck acquired a wealth of experience. Their private lives were rather similar too: in 1911, Charles married Mia Huybrechts and, two years later, Louis married Mia’s sister, Elza. During the First World War, both couples found refuge in England with their families. After their return to Antwerp in 1919, the two brothers were given the management of the shop by their father. Eugène died in 1941 and Louis a year later. Charles continued to manage the business for three years with the help of his son Alfons and Louis’s sons, but he closed down the business in 1945. In 1947, Charles Van Herck founded his own company under the name Charles Van Herck en Zonen, at 57 Leopoldstraat. Each month an auction of works of art, antiques and books was held. Charles Van Herck was meanwhile extending his own collection. In his own house too, Charles Van Herck surrounded himself with art objects. The walls of his home, at number 16 on the Rosier, were covered with drawings of sculptures and numerous terracotta objects were to be found in rooms throughout the house. He spent the early evenings methodically examining his works of art, describing them and completing the documentation for his unique collection. His research work was key to the rediscover of the statuary of the Southern Netherlands and particularly that of the Antwerp region. Charles Van Herck made contributions to various publications as well as to several exhibitions held in his native city. He was also a very active member of the Antwerp Archaeology Circle, of which he was one of the directors.